Micromax has officially launched the Canvas Blaze MT500. The Blaze MT-500 appeared online last week. The company has partnered with MTS to launch the handset, that supports Dual SIM ( CDMA + GSM ). The specs are not very impressive, but good at this price and for what company is selling it. 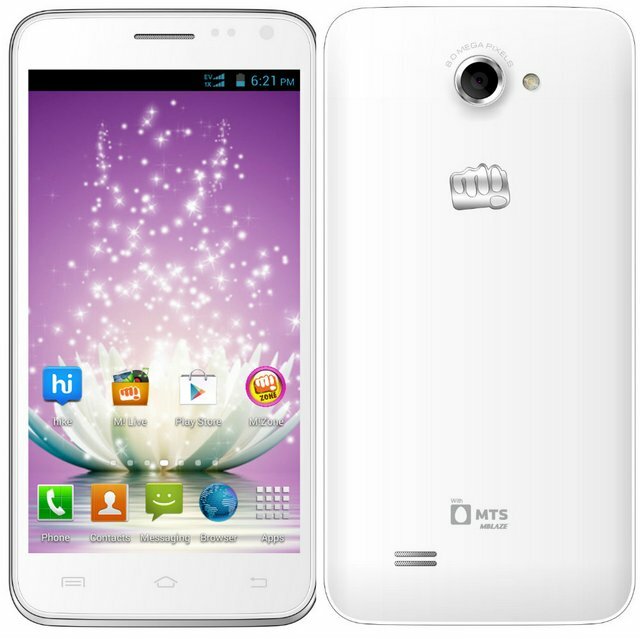 The Micromax Canvas MT500 Blaze is priced at RS.10,999 and is available in white and Black colors. It comes Bundled with 2GB DATA, 1000 minutes for MTS to MTS L.C and 120 min on other local and STD calls, from MTS prepaid SIM card for 6 moths.